There were 481 valid nominating ballots (475 electronic and 6 paper) received and counted from the members of Sasquan, MidAmeriCon II, and Worldcon 75. Mason: The Boye is a dystopian Swedish novel, apparently; Boye perhaps comparable to a combination of Stephen Vincent Benet and Robert Frost in her country, reportedly best and widely known for her poetry. I'd probably lean toward the White or the Williamson, but haven't yet read either, unless the Boye is very well translated. Reminders of what I need to read. Mason: I have read "The Roaring Trumpet" and "The Devil Makes the Law" (the original of "Magic, Inc."). Between those, it's almost a toss-up. Really should catch up here, too. 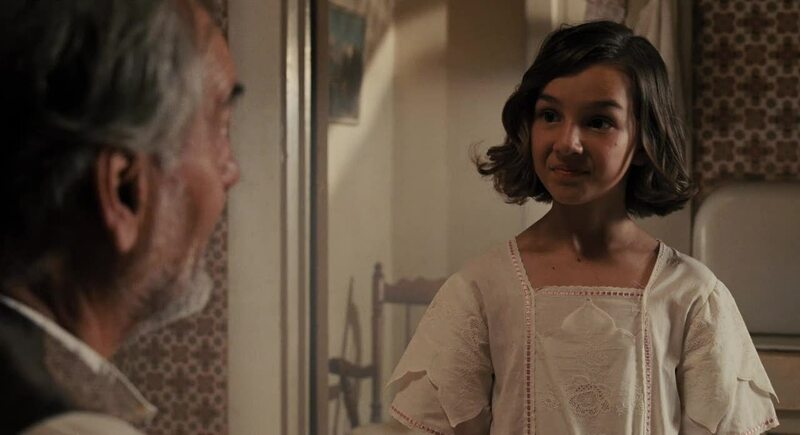 Mason: I have yet to read either Brackett, and it's odd we have so many clumping finalists here...clearly, we see whose work people are nostalgic about. Borges would probably get my nod. But I really like Brackett. Mason: I loved the 1970s Spectre, and would need to read the Eisner item, before I probably do opt for the Spirit over even Capt. Marvel. Early Batman interesting but crude, as I recall. True comics fans might well agonize over this shortlist. Mason: I like the Disney and Cyclops is worth a look, but The Thief of Bagdad doesn't need a flying carpet here to outpace the competition..
Mason: I'd lean McIlwraith. Even given the year Campbell's having (though next year would be better). Pohl for pluck; he's 19 years old and has the lowest-budgeted sf magazines in the field, but happily has his fellow Futurians to solicit stories from, and several of the better established writers of the time seem willing to throw him a bone or at least stories sometimes foolishly rejected by their usual markets. Mason: Bok by an elegantly elongated nose. Though Finlay would get my nod perhaps tomorrow, as already doing his best work. Frank Paul is a big No, though oddly his abstracts were rather good, as opposed to any sort of figure drawing (every creature in his universe wears jodhpurs). Brundage limited, if good within her compass. Cartier and Rogers doing excellent work. 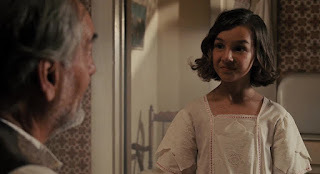 Mason: Bob Tucker the best fannish writer here. Mason: I might give it to Warner for his utter openness to every sort of literary fannishness. When Tucker's still the best of these as a fan writer. (And novelist.) File 770 folk note HPL is on the ballot several years after death because his work was still trickling out in the fan press. 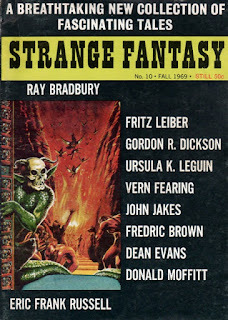 Fantastic: Among the contributors of new fiction, Fritz Leiber, of course, but also James Sallis, Jody Scott, Pg Wyal (his first story), Robert Hoskins and others. F&SF: Josephine Saxton, but also Gary Jennings (before the best-sellers such as Aztec), Samuel Delany (at this point the film columnist, even as the books are handled by Judith Merril and a set of Gahan Wilson's occasional horror/dark fantasy reviews, along with Wilson's cartoon and Asimov's pop-science essay), a recent translation of Yevgeny Zamyatin and another reprint, from (eventually) mostly tv-writer/producer Larry Brody. 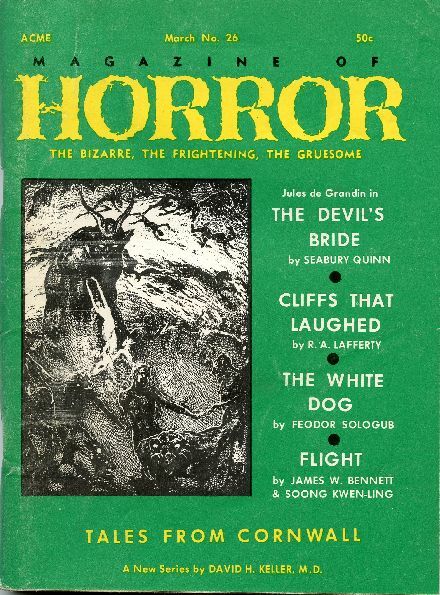 SMS: The magazine which "discovered" Stephen King and F. Paul Wilson features in this issue original work by Ramsey Campbell, along with debut stories by the not so prolific Donna Gould Welk and Ken Porter, interspersed with reprints. 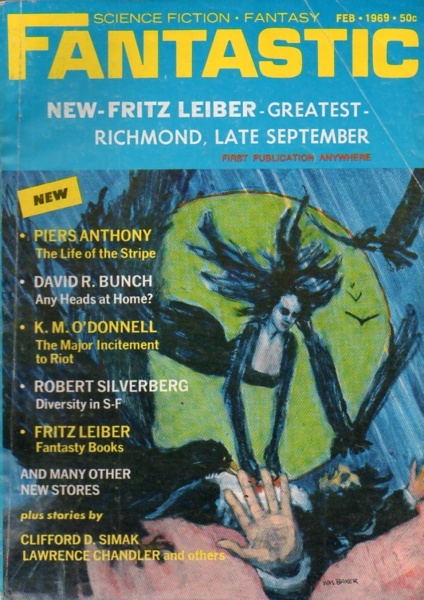 There were more fantasy-fiction magazines publishing in the US than usual in 1969, not least because Sol Cohen, who'd left the Galaxy Magazine Group to buy Fantastic and Amazing from Ziff-Davis in 1965, and with the magazines he'd bought the unlimited serial (magazine) reprint rights to all the stories Ziff-Davis had purchased as a default for their magazine fiction since the late 1930s...as well as the legacy copyrights from earlier publishers of Amazing...Cohen was at the height of his issuing reprint magazines filled with fiction he didn't legally need to pay any royalties for, and a few of those titles he slanted toward fantasy fiction. 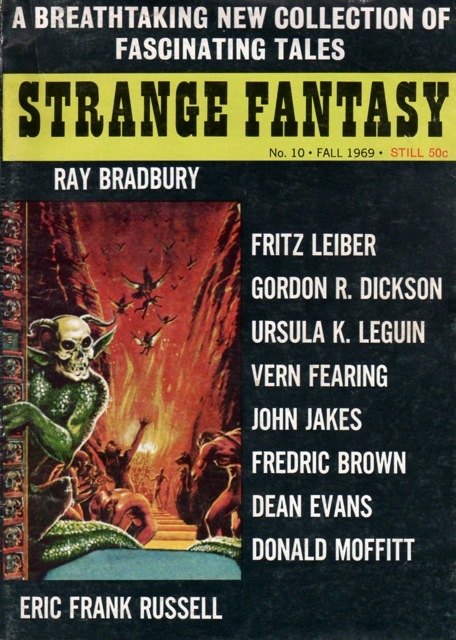 Strange Fantasy was the first and the best of these (bettered only by a much later one-shot Sword and Sorcery Annual), and took over the volume and issue numbering for two years from Science Fiction Classics beginning in '69. Robert A. W. Lowndes added Weird Terror Tales to his growing line of no-budget, mostly-reprint magazines in '69 (Bizarre Fantasy Tales would begin its brief run in 1970); Arthur Landis got his new digest Coven 13 onto some newsstands, and while Joseph Payne Brennan produced no issue of his boutique project Macabre in '69 (and Lester del Rey's fully professional Worlds of Fantasy offered one issue each in 1968 and 1970 but none in '69), there was a second issue of W. Paul Ganley's Weirdbook among the little or semipro magazines, even if no others offering as impressive a set of contributors of fiction. 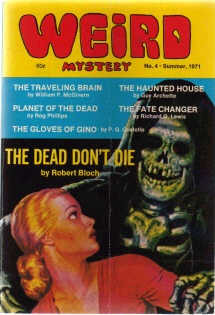 But aside from Lowndes's Magazine of Horror, the elder sibling to the more psychic-detective- and borderline horror/suspense-oriented SMS, whose March 1969 issue I don't have to hand (it does contain a new R. A. Lafferty story, however) and which doesn't even have a blue cover (the nerve), the three most visible US fantasy-fiction magazines in early '69 were the three I discuss below. name "Lawrence Chandler," who could've been in this case nearly anyone in a small stable of regular contributors, including founding editor Howard Browne). 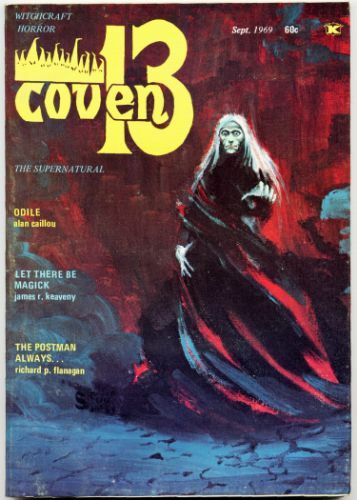 In fact, the precipitating argument that ended Barry's employment was over whether cover artist William Baker would be paid for his cover image, a not-extraordinarily good nor bad pastel that Cohen apparently hated (and not notably worse, I'd suggest, than the other minor work on the other covers). 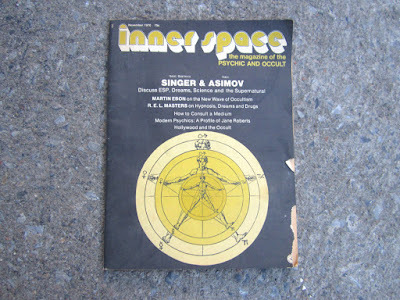 With the inclusion of Robert Silverberg's essay (though Silverberg had been a columnist for Amazing as edited by Cele Goldsmith Lalli at Ziff-Davis), and fiction by such Malzberg favorites as (Ms.) Jody Scott and Robert Hoskins, Barry was clearly already starting to make his mark on the magazine, even if he wouldn't have much chance to do much more; Ted White would be installed as the new editor with the next issue, and Barry's inventory was probably exhausted with Ted's first issues of the two magazines. Poet Margo Skinner, Leiber's good friend after the death of his wife, wrote two of the reviews without credit in the table of contents, but a byline on the text. Barry's headnotes and "coming next month" are full of praise for the contributors, aside from the diffidence he employs in introducing his own work. 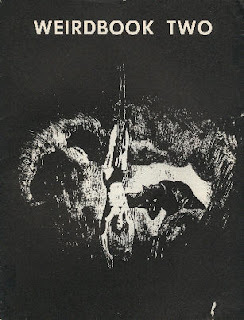 title, thanks to the Bloch reprint. Fantastic, and Judith Merril have engaging takes on Clifford Simak's science-fantasy novel The Goblin Reservation in these issues; Samuel Delany's film column for the magazine was sadly short-lived, and their first since Charles Beaumont had conducted one in the late 1950s (with "William Morrison"/Joseph Samachson contributing a more occasional column on stage drama alongside Beaumont's); radio dramatist and bookseller Baird Searles would soon follow Delany at the magazine for more than a decade, and be succeeded by Harlan Ellison, Kathi Maio and Lucius Shepard, sometimes in alternation. 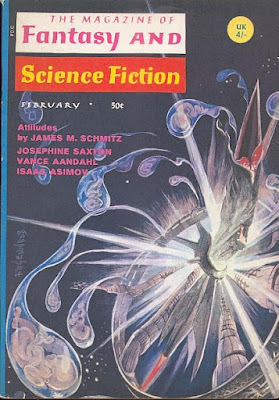 Gahan Wilson's cartoon was already a regular feature, one of Ferman's first innovations in the magazine, and it would appear in every issue till the two had some sort of falling-out in the early '80s...only Isaac Asimov, with his science column, was a more durable regular than Wilson and his cartoons in the magazine's history. 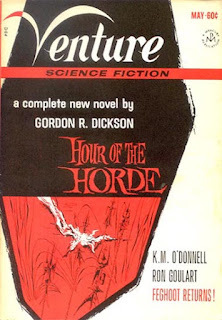 If Fantastic in those years had relatively randomly-selected reprints, and F&SF rather more carefully-chosen ones that usually ran to relatively recent but (to most fantasy/sf readers, probably) obscure sources, Robert A. W. Lowndes's magazines for the very marginal Health Knowledge Publications managed to get by through Lowndes combing through his collection of pulps and anthologies and collections of fantasy and other sorts of fiction, looking for public-domain items of various sorts and checking with the Copyright Office for records of renewals on the pulp items, often taken from such orphaned magazines as Strange Tales. Lowndes's '69 3rd fantasy title. 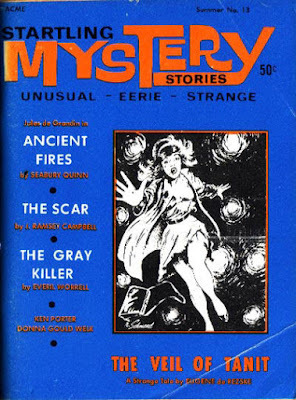 for the mothership title (hence the "first stories" by King and Wilson appearing in Startling Mystery rather than Horror; Terry Carr and Ted White's somewhat surreal "The Secret of the City" had appeared in an earlier issue). 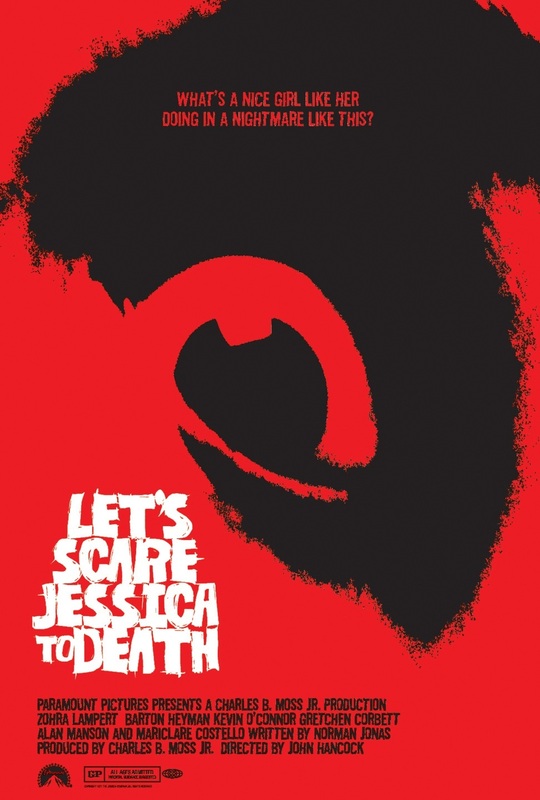 But aside from some engaging pulp (and earlier p.d. 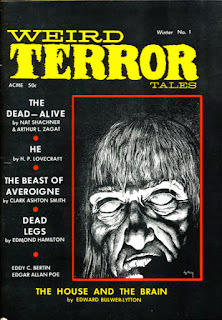 fiction) reprints, some first-rate originals appeared in SMS, as well, including this issue's "The Scar," one of the better early Ramsey Campbell short stories, marking his beginning to take on his own voice and becoming somewhat less simply a promising acolyte of H. P. Lovecraft, and one of August Derleth's most treasured discoveries thus. Much of the issue, as in part with all Lowndes magazines going back through the not quite as low-budget but still low-budget Columbia fiction-magazine days, was devoted to a long editorial (in this issue discussing Poe's contribution to mystery fiction, sparked in part by an article in an early issue of The Armchair Detective), a bibliography of Quinn's Jules de Grandin stories, a Lowndes book and magazine review piece, and a long letter column (free copy, aside from the time spent transcribing letters and answering them). 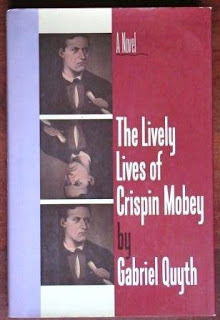 For more of today's (actual) books, please see Patti Abbott's blog. As always, please let me know if I've missed your or anyone else's contribution this week in comments...thanks. 07:20p Bob & Ray segments from NBC? MBS? Cult TV: The Avengers: "Nightmare"
Ivan G. Shreve, Jr.: Spies (1928 film); Try and Get Me! Steve Lewis: The Ray Bradbury Theater: "The Crowd"